You know how you go into Target for one or two things and come out with at least four or five? Yeah, that happens to me ALOT! 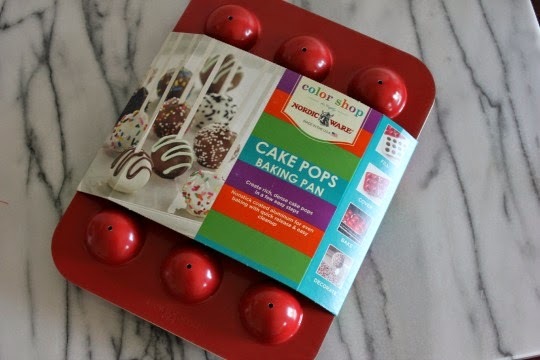 Like this Nordic Ware cake pop pan for instance. I went into the store for a couple of extra Easter goodies and it somehow ended up in my cart. I did NOT need it, but I'm so glad I got it! Spray both sections of the Cake Pop baking pan with cooking spray. Open the packaged cinnamon rolls and slice each roll in half with a serrated knife. Fold each half over so that the cinnamon toppings are together and place into the hole of the pan. Once the pan is full, put the top on and place into the oven. Remove the pops from the pan and let them cool on a wire rack. Spoon cinnamon roll frosting into a plastic ziploc baggie. Microwave for 5-10 seconds to soften. 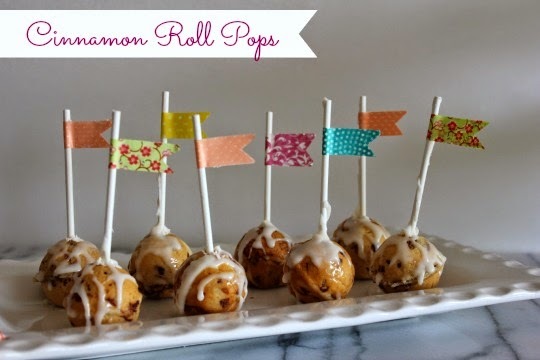 Cut a hole in the bottom corner of the plastic baggie and drizzle frosting over the pops. 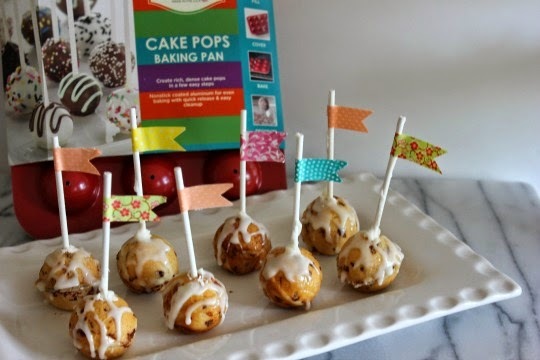 Insert Wilton cake pop or lollipop stick. I decorated the sticks with washi tape before I inserted them into the pops. 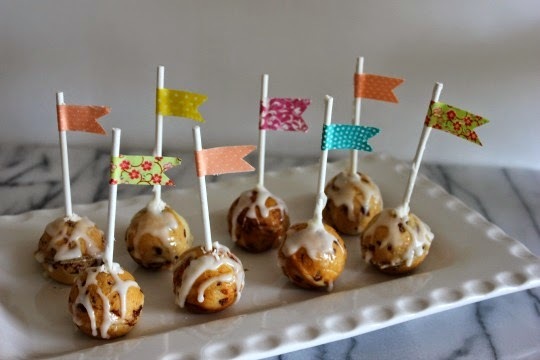 A quick and super cute idea for brunch or a baby shower.